The award, which is being granted for the second time, is presented to an accomplished director who promotes safety and security expertise in Finland. 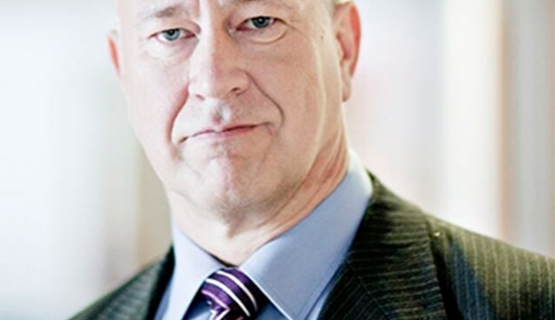 - Heljo Laukkala has wide experience of security and risk management. Laukkala, who fulfills the criterion of the prize exceptionally well, has actively and constructively participated in the development of Finnish security training, sums up jury member Anna-Maija Ahonen, Program Manager from Aalto PRO. Laukkala is active in Finnish risk management and safety associations, as well as being a member of the Steering Group of the Diploma in Safety and Security Management Program. He has been employed by Metso Corporation since 2002, where he has led the risk management organization since 2004. Before then, he worked for employers such as the Finnish Defence Forces. The selection criteria for the Security Director of the Year award emphasize high performance in challenging management tasks, and having a comprehensive and strategic grasp of security. - In addition, the person selected must have been an active security player in his or her organization, or in the sector in general. He or she has reinforced the strategic importance of security operations and contributed to the development of security sector expertise in Finland, says Joona Vuorenpää, Executive Director of Finnsecurity. Aalto PRO’s Diploma in Safety and Security Management Program, which celebrated its 25th anniversary last year, is highly rated and something of a household name in the industry. Over 400 Finnish security professionals, who also value the career-long network of security experts provided by the program, have participated so far. One of the program's assets is its comprehensive treatment of the various aspects of security and management development.